Ford didn’t have anything new to introduce at the Los Angeles Auto Show, but it doesn’t mean the automaker came empty handed. 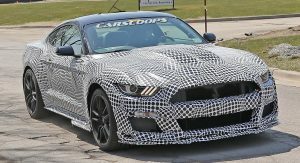 As noticed by Automotive News’ Michael Martinez, Ford created a special display to confirm the highly-anticipated Mustang Shelby GT500 will be unveiled on January 14th. 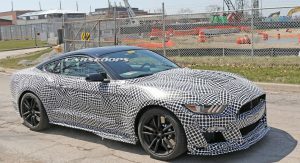 Unsurprisingly, this coincides with the first day of press previews at the North American International Auto Show in Detroit. 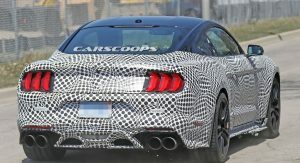 The display doesn’t reveal much else, but it does confirm the GT500 will be a 2020 model. This isn’t too surprising considering it’s almost 2019 already. 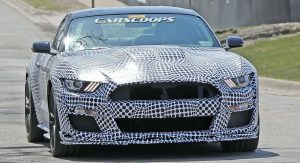 While Ford is keeping details under wraps, the automaker has previously said the car will be the “pinnacle of Mustang performance” as it will feature a supercharged V8 engine that produces more than 700 hp (522 kW / 709 PS). 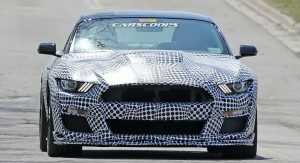 This means the model will be even more powerful than the Ford GT which has a 3.5-liter EcoBoost V6 that develops 647 hp (482 kW / 655 PS). 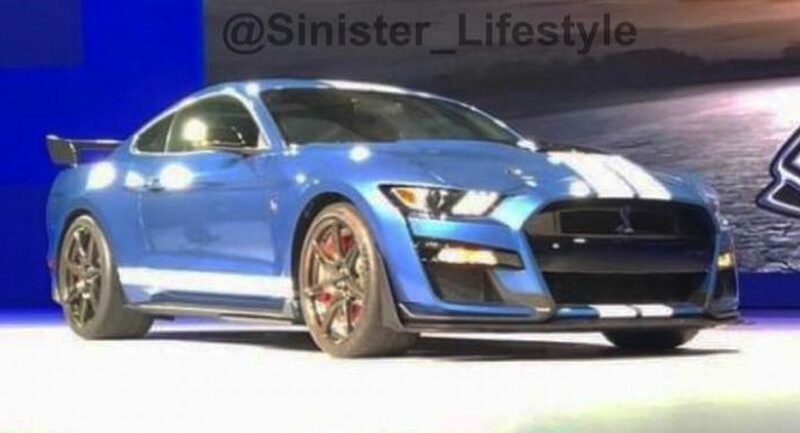 Speaking of styling, a couple of images reportedly leaked out of a Ford dealer convention earlier this year. 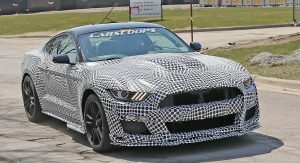 They showed the model will follow in the footsteps of the GT350, but adopt a revised grille with a center-mounted Cobra emblem. 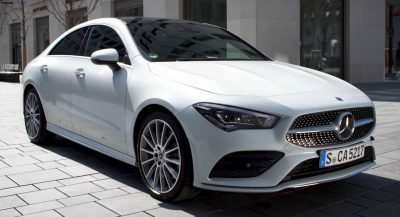 The car also had a gloss black front bumper accent and a more aggressive front splitter. 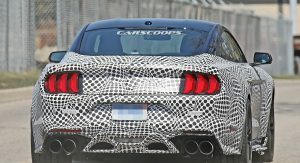 Moving further back, the model was equipped with a ventilated hood and a massive carbon fiber rear wing. 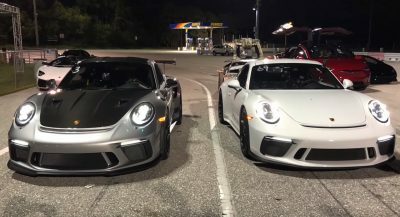 The car also appeared to ride on carbon fiber wheels which were backed by a high-performance braking system with red calipers. 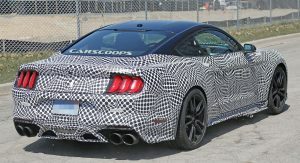 Following its debut in the Motor City, the 2020 Shelby GT500 will be launched later in 2019. Cant wait to read the drive reviews on this! 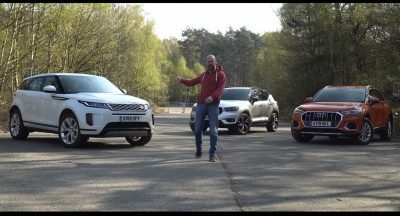 Should be a beast in a way that the corner-averse Hellcat could only dream of. 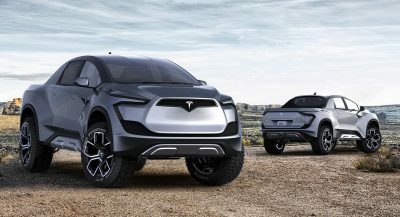 I’d like to see a five star wheel design that’s also not blacked out. Not a fan of these at all. Either way I look forward to the debut.